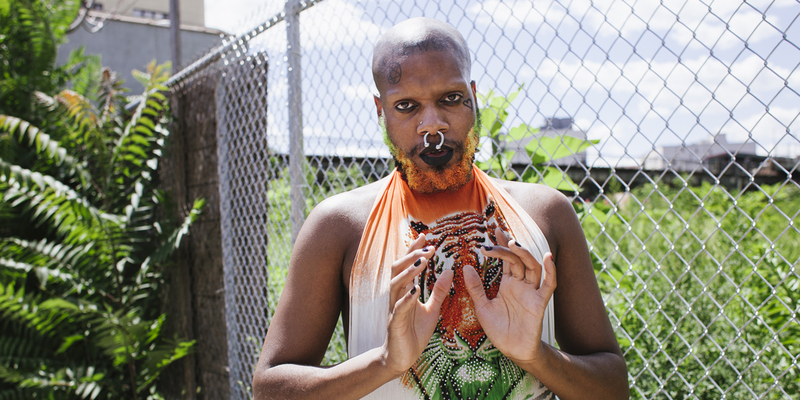 If you thought that the New York queer scene was all about the hip hop exuberance of the likes of Zebra Katz and Le1f, serpentwithfeet is here to prove you wrong. The New York-based artist, AKA Josiah Wise, emerged last month with the incredible singles “blisters” and “flickering”, both produced by The Haxan Cloak (Björk, HEALTH), and he’s now ready to share another track from his debut EP, blisters, due out next month. “four ethers” is a track which seems to draw its premises from opera rather than from the pop repertoire: strings and a tender oboe create a tense and dramatic atmosphere accompanying Wise’s incredible voice, which escalates more than once into vocal crescendos that feel so powerfully detached from the obscure, march-alike instrumental. Remaining unmoved by such a vortex of emotions is a hard job. I speak as loud as the volume I listen to music, and this is probably symptomatic of my love for pop music: I love pop music because it is often unapologetically in-your-face, it shouts rather than tell, it drives you crazy. And after 21 years loving pop music, I think I’ve completely gone mad. It all started in 1997, when my mum bought me my first cassette: needless to say, it was ‘Barbie Girl’ by Aqua, and from that point on, it’s been a never-ending loving relationship between me and music. I study, work and live life part-time, and listen to music full-time.